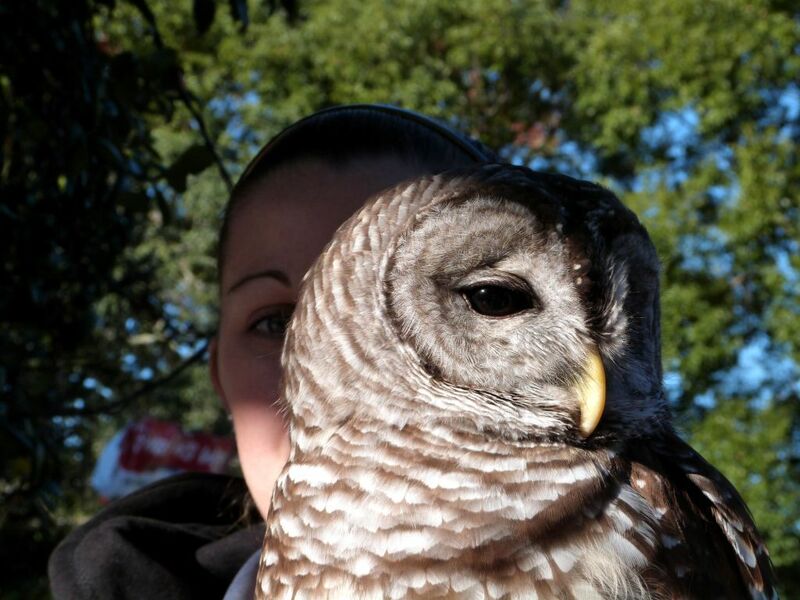 But when we entered the zoo, we were met by one of the zookeepers holding a beautiful Barred Owl. 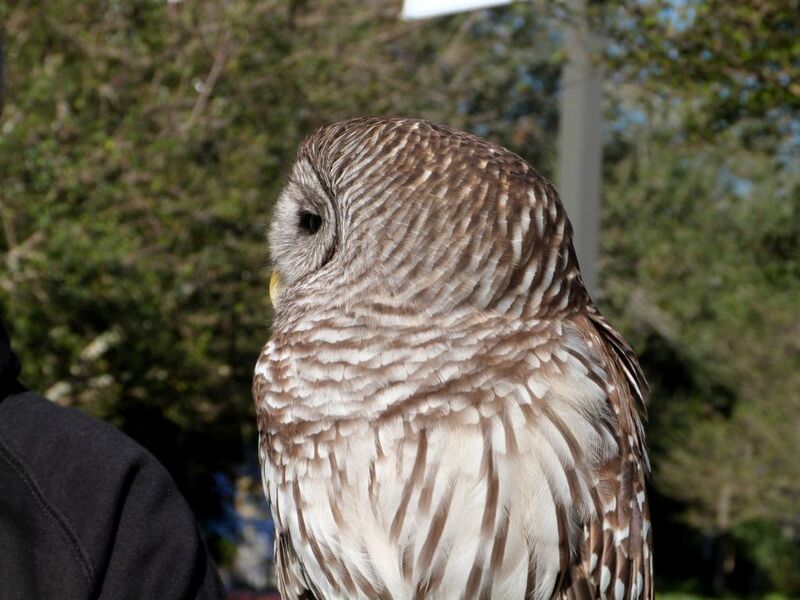 We had not encountered this Owl in our previous trips. While sharing some of the photos, I thought you might like to learn a little about them. 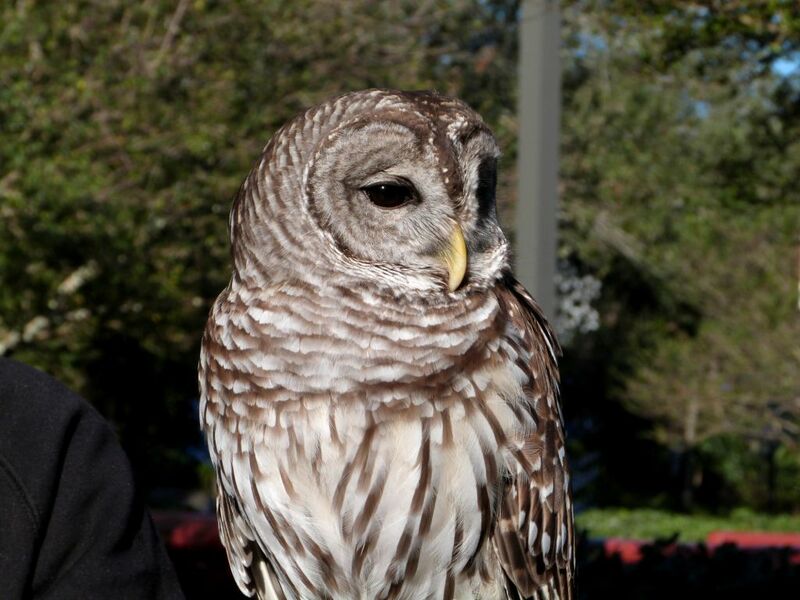 “The Barred Owl (Strix varia) is a large typical owl native to North America. 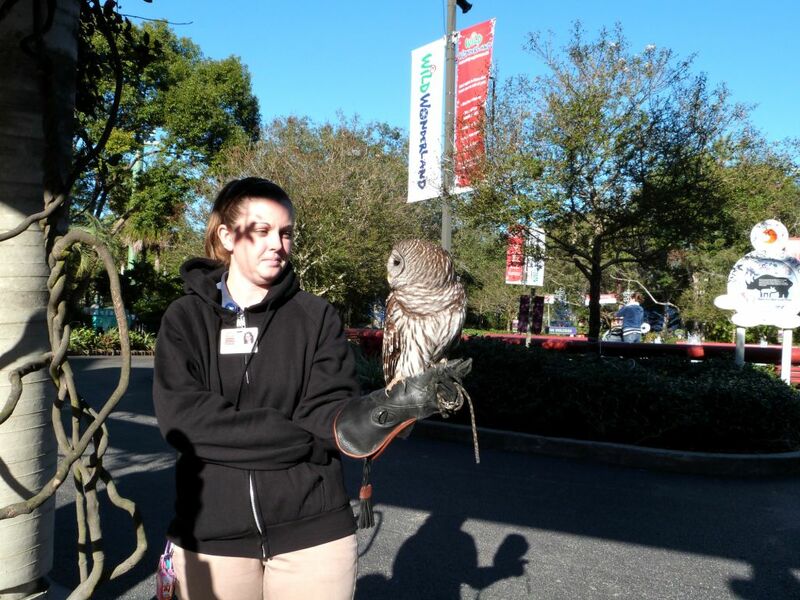 It goes by many other names, including Eight Hooter, Rain Owl, Wood Owl, and Striped Owl, but is probably best known as the Hoot Owl based on its call. Looking the other way. No, they cannot turn their heads all the way around. 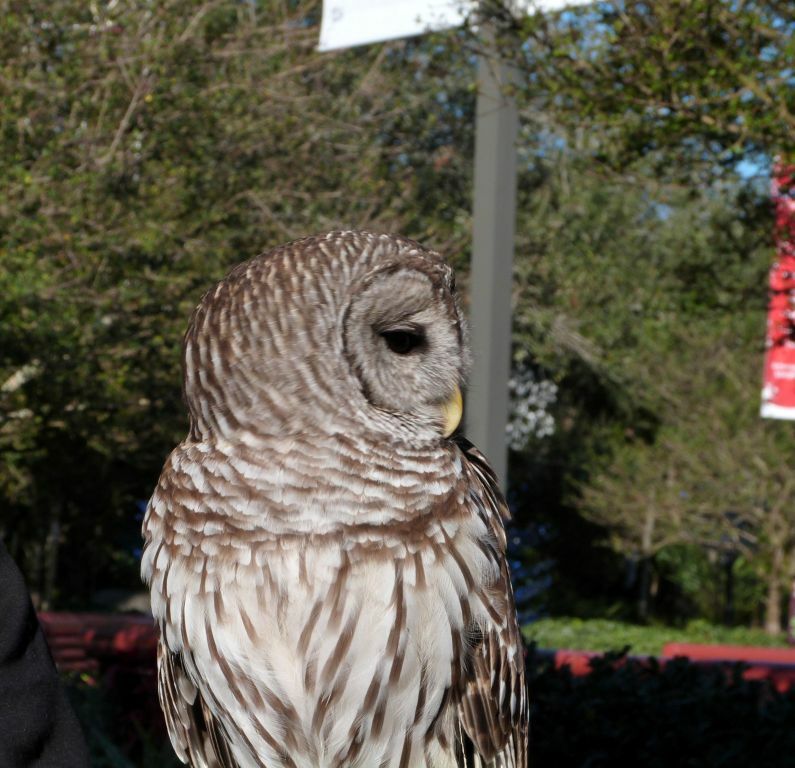 Notice also that this owl does not have ear tufts like some owls. “Owl” is mentioned 8 times in the King James Bible and “Owls” is mentioned 6 times. 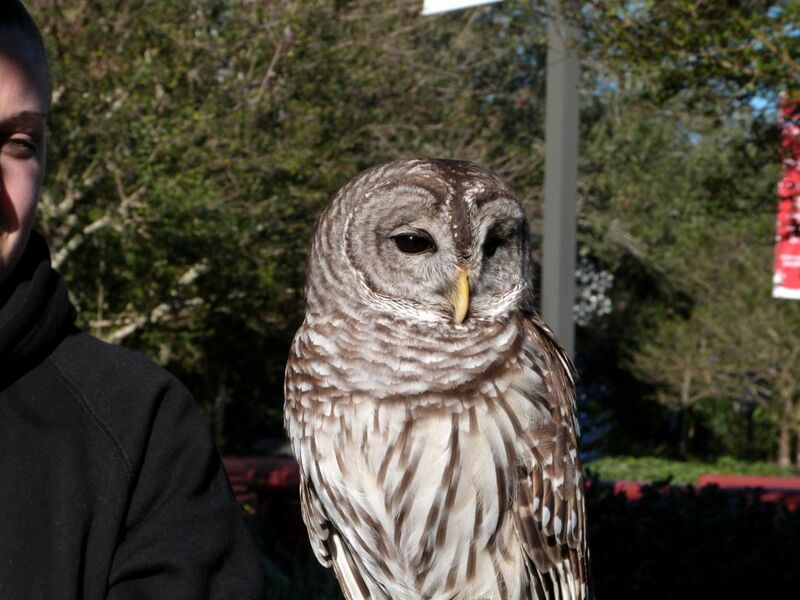 So that makes our friend here a “Bird of the Bible” and of course a “Bird of the World.” Owls are another of the Lord’s great creations. It was a great birdwatching day at the Zoo. Cool, but the sun was bright and no clouds. I had some other great finds today, but will save them for later. This entry was posted in Bible Birds, Birds of the Bible, Birdwatching, Christian. Bookmark the permalink.